I look back with great pride on our accomplishments in 2015. Last spring, our Softball team was responsible for our “Mission to Cuba”, where we brought supplies and medications to our Cuban brethren and shared a fantastic Shabbat with them. Together we fundraised to help get their teenage delegation to the Pan American Maccabi Games in Chile. Over the summer, we took a team of 200 to Berlin for the European Maccabi Games, which were held in the shadows of the stadiums built by Hitler for the 1936 Olympics. We had so many stirring moments at these Games, but the most emotional for me was our ceremony at Platform 17, where we commemorated Olympians lost in the Holocaust, as well as the Israeli Olympians murdered at the 1972 Olympics in Munich. 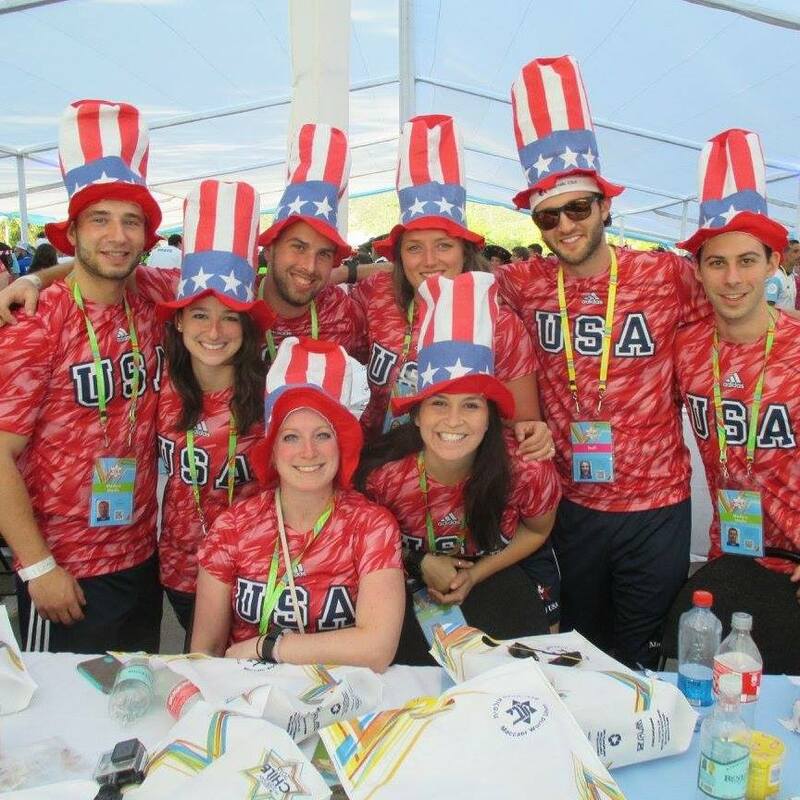 We just recently returned from the Pan American Maccabi Games in Chile, where Team USA participated in some great Tzedakah projects in addition to competing. As soon as we returned we hit the ground running getting ready for the 20th Maccabiah Games in Israel next year. 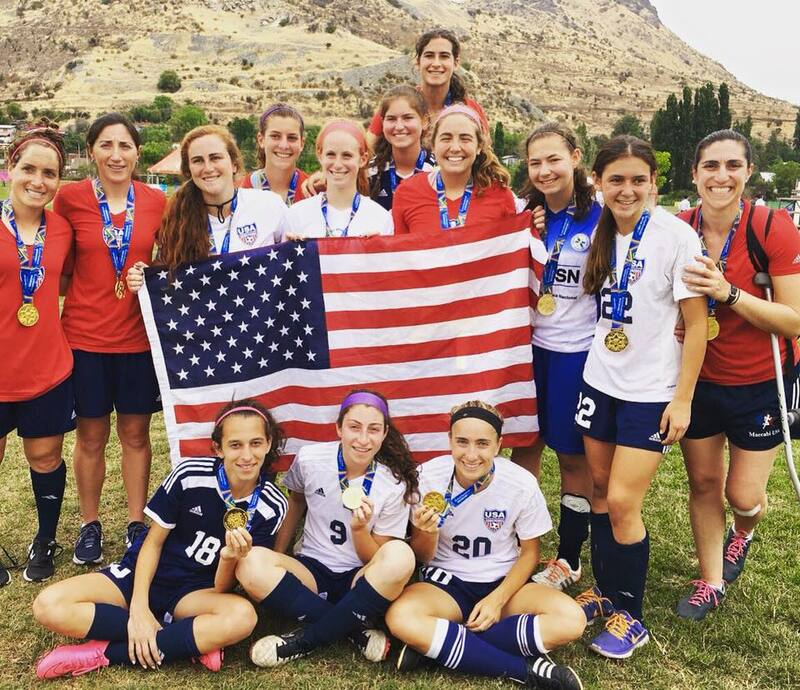 Applications for Team USA will be available on our website in a few weeks, and announced via email and our social media platforms (@MaccabiUSA). The application process will be followed by tryouts around the USA over the next year. Our official 2017 Maccabiah fundraising ‘Launch’ will take place on April 20 in New York City, where we will honor our President, Ron Carner. Additionally, we have Golf Tournaments scheduled in Florida (March 14), Philadelphia (June 6, in memory of Dolph Schayes) and Chicago later in the summer, and our 12th Annual Brunch, Bridge, Canasta and Mah Jongg Tournament will take place in Westchester, NY on September 25. We are planning our next “Mission to Cuba” in November, which will center on a Softball Tournament in Havana. For all this, I thank our athletes who stood proud and tall and represented Team USA. 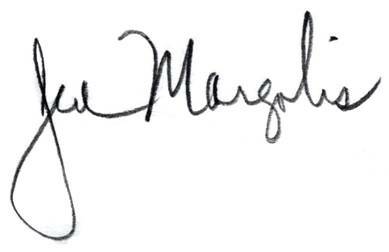 I also thank our leadership and supporters who are the true “Magic of Maccabi,” giving of themselves so that our athletes will have wonderful Jewish memories; and I thank our Maccabi friends and family around the globe who work tirelessly so that we can bring our delegations to the International Maccabi Games. I also appreciate the State of Israel for being a source of pride and inspiration for Jews around the world. Chazak v’amatz – Be strong and courageous! We would love to see everyone's photos from the Pan American Maccabi Games... To share your photos via Google Drive and help create a photo album for everyone, click HERE! Once on the site, click the "Add to Drive" button, which will be in the upper right hand corner of the page. 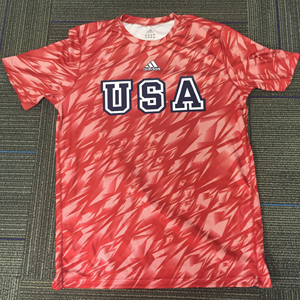 Team USA Apparel for Sale! We have a LIMITED quantity of apparel from the Pan American Maccabi Games left fot sale... Click HERE to purchase! 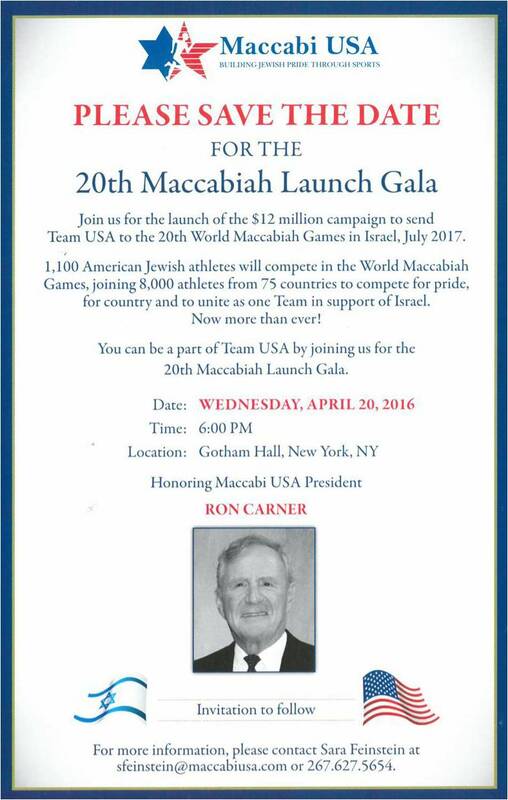 Please join Maccabi USA for our 20th Maccabiah Launch Gala where we will honor our President, Ron Carner. Click HERE to register and/or donate!